Surya, Udhayanidhi Stalin, AR Murugadoss, Ravi K Chandran and all others involved in the making of 7am Arivu had a great time at the wrap up party to celebrate the successful completion of the film. The star and producer are reported to have stayed back till the end of the party and interacted with everyone present there, reports our sources in Kollywood. AR Murugadoss is currently deeply involved in the post production work of the film and has said that he will not disclose anything about his next project unless he completes 7am Arivu and has it ready for release. 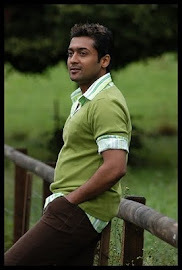 Surya, on the other hand, will begin his next film Maatraan with KV Anand on July 22nd.